So, I had a pretty awesome evening on Tuesday. A couple of days previously, I received a last-minute invitation from my favourite girls at The Body Shop to come along to a very small, intimate gig – streamed live online – with 2006 X Factor Winner Leona Lewis to celebrate the implementation of the EU’s ban on animal testing for cosmetics. I’ve got to admit, beforehand I wasn’t overly familiar with Leona’s music although I have always been impressed that she’s done so well for herself. It usually seems to be the runners-up on these sorts of TV shows that go on to have more successful careers than the winners (cases in point: One Direction vs Matt Cardle, Olly Murs vs Joe McElderry, JLS vs Alexandra Burke, and going further back the likes of Will Young vs Gareth Gates, Liberty X vs Hear’say.. . you catch my drift!). So anyway, I looked up a handful of Leona’s performances on YouTube to prepare myself a bit before popping down to Waterloo Film Studios on Tuesday evening, but that still didn’t really prepare me for the set of lungs that girl has! 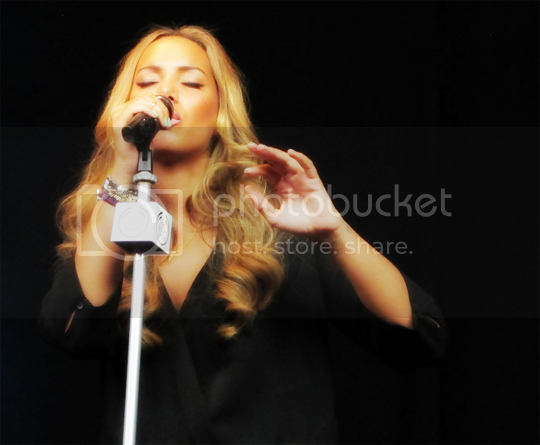 She sang absolutely beautifully. Leona, a long-time vegetarian, was a pretty obvious choice to be The Body Shop’s new Brand Activist and I was lucky enough to sit down alone with Leona after her set and have a chat about it. This is the first time I’ve ever done something like this and I’m not armed with professional recording equipment; my iPhone recording came out a bit crackly so I’ve transcribed our chat for you below. Enjoy! So, Leona, what made you want to represent The Body Shop as their new Brand Activist? I think it was mostly because I’ve been vegetarian from a very young age and I knew that they were against animal testing, and in my early teens I started getting into activism and campaigning. That, and I’ve always really loved all their products, I’ve been buying them for such a long time. When we started talking more and more, and when it was looking like I was gonna be involved in campaigning with them I was just really excited ’cause they’re a brand that I’ve known since such a young age so it’s just great that they asked me to be involved. You’ve collaborated with The Body Shop on your own makeup collection – what were your inspirations behind that? Well we wanted to do something that was good for Spring and that was really on-trend, and also represented me and the brand as well. And yeah, it’s just a fun and sweet range, I really love it. 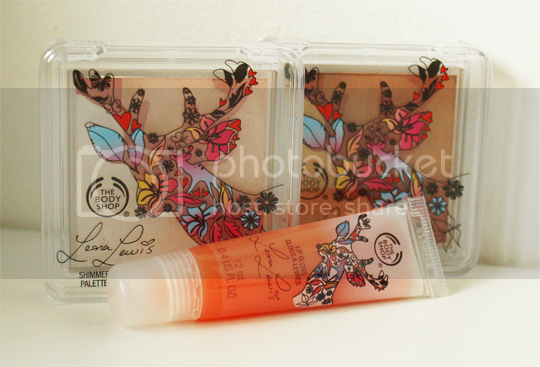 I love the deer on the packaging and printed onto the Shimmer Powders! Yeah, we had the deer because basically we were celebrating and bringing awareness to the fact that The Body Shop were the first to invent synthetic musk, because originally it was taken from the deer, which was obviously really cruel. Clever! I hadn’t realised the connection there. So you say you’ve been using The Body Shop products for a really long time – which ones could you not live without? -Rudely interrupts (! )- YES! That’s my favourite. I actually met Gaston Vizcarra, the man who runs the company who supply The Body Shop with their Brazil Nut oil and it was fascinating to learn in an in-depth way about where the ingredients in the products have come from. Definitely – people get so complacent just ’cause, you know, we’re chucked all of this stuff all the time but actually knowing where it’s come from, the people that source it, and the fact that they’re getting paid a fair wage, I think it’s great. Quite a broad question – who inspires you? Musically, I love singers like Tracy Chapman, Oleta Adamns, Stevie Wonder… I love Bruno Mars as well actually, recently I’ve really loved his stuff. In terms of ethics, Anita Roddick (founder of The Body Shop) obviously! She’s one of my biggest inspirations, I think everything that she stands for is just, awesomeness! Beauty wise, I really love Thandie Newton, I love her style, I think she’s so classically beautiful. -Interrupts again (! )- Exactly! When you did Whole Lotta Love with Jimmy Page, that was amazing. Yeah, it was really cool. I was reeeally nervous to meet Jimmy Page, but oh my god, he was honestly one of the nicest men I’ve ever met. He was so lovely, and I was really scared when he came down to the studio to hear my version – because I obviously had to studio record it first – I was actually sweating! But he came down and he was like ‘oh my god, it’s amazing, you did so good!’. He was just the nicest person, you don’t often come by people like him. That’s so cool – I’m very jealous! Okay, last one – what has been the proudest moment of your career to date? Ooh erm.. that’s a hard one! Well, probably doing the Olympic handover, ’cause that was the hugest audience that I’ve ever had. Oh, and getting a BAMBI Award! It’s a music award in Germany, sort of like their version of the Brits. It meant a lot because I love going over to Germany, and the German market and how receptive people are over there. It’s really cool, so yeah, that was a really big thing for me. Well, good luck everyone! If you’d like to further support Cruelty Free International, please do sign the pledge on The Body Shop’s website. And here’s a parting gift for Leona Lewis fans a (slightly questionable quality) excerpt of her closing number on Tuesday evening, Bleeding Love. Enjoy! Leona Lewis Cruelty Free Shimmer Palette Oh Deer! Blush looks fantastic! I don’t have a favorite product but I cannot live without the tee trea range of products from body shop! I really do love their body butters- classic but a good’un! I love the Body Shop, especially the new look stores, so much nicer to go into! I always remember loving their soaps that look like fruit..
she seems lovely! the range looks gorgeous as well! Great giveaway! That’s so cool that you got to meet Leona! My favourite products are their mango shower gel and strawberry body mist. Brazil nut butter, yeah that stuff is quite nice. Plus you know that you are getting stuff that isn’t tested on animals. 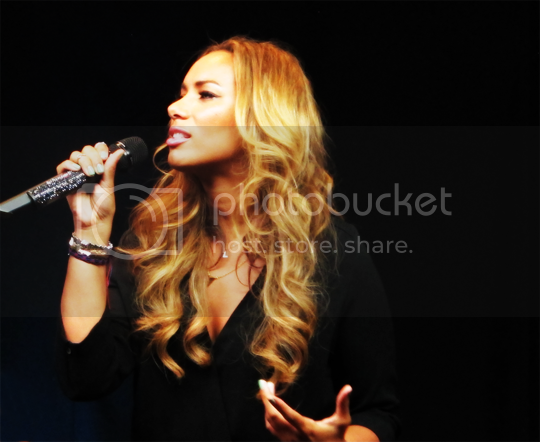 It’s good to see someone like Leona being a brand ambassador and making more people aware of this great organisation. I simply love Body Butter. Thanks for the giveaway! I haven’t tried any product from The Body Shop yet, but they seem to have awesome products! definitely the brazil nut body scrub! Thanks for the giveaway and Leona is GORGEOUS!!! I really like their body butters! Their so smooth and they come in loads of different colours and lovely smells! Body Shop Hemp Hand Protector – best hand cream ever! !